Total solar eclipse over the Marshall Islands in 2009. Picture by Vojtech Rusin. A solar eclipse happens when, as seen from the Earth, the Moon passes in front of the Sun and thus blocking it either fully or partially. 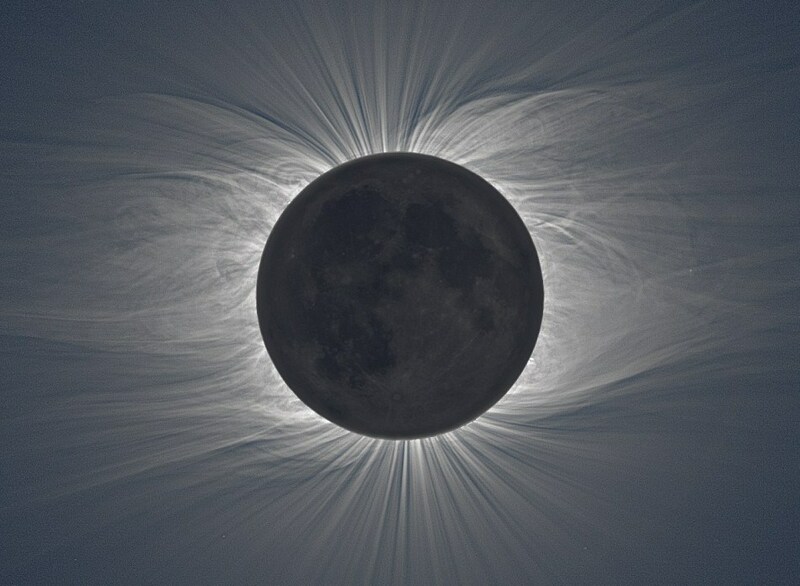 This can happen only at new moon, when the Sun and the Moon are in conjunction as seen from Earth.